Hi crafty friends, I hope you’re enjoying your Saturday. 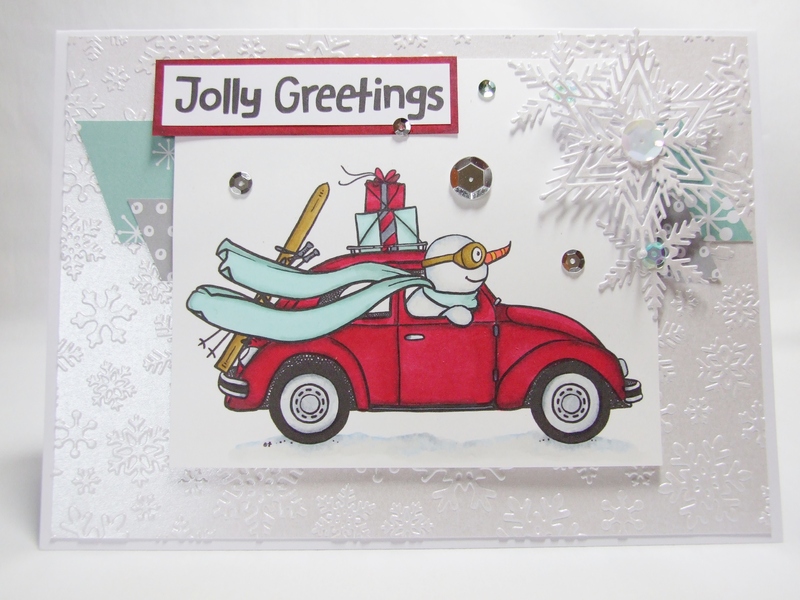 Today I’m sharing a card that I have made with a digital stamp that is part of a fundraising idea from Faith at Fromtheheartstamps.com for her daughter’s ice hockey team and it’s called ‘VW Snowman’. You can get all the info how to get this fabulous image HERE. This is my entry to Sketch Challenge 117 which you can see below. The ‘twist’ in this sketch was to use ‘lots of white’ – I think I managed that here!! The sentiment here is from another digital set called ‘Happy Harry’. 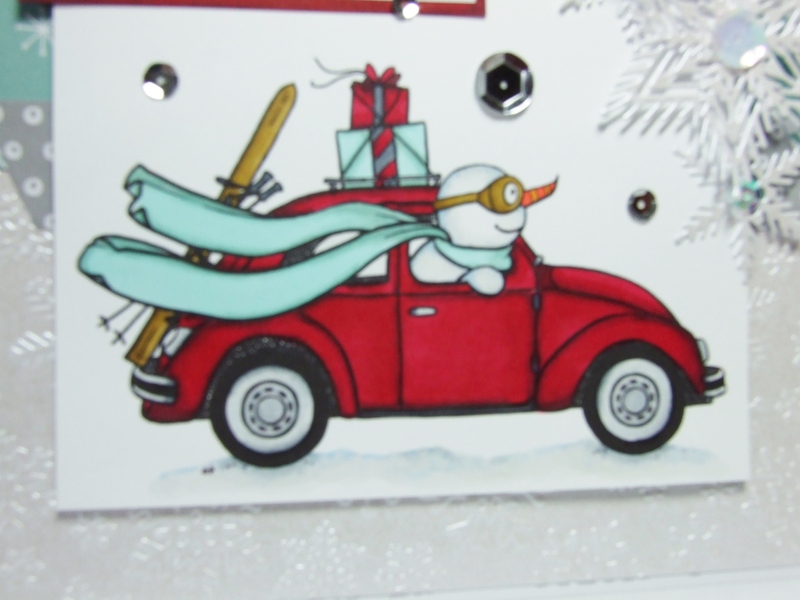 I love VW Beetles, I had a yellow one myself called Beryl – Beryl the Yellow Peril! Yes, I did name ‘her’!!. Alas, she had to go when I found out I was expecting my second child – it was just going to be easier with a 5 door car as opposed to a 3 door when you have a 2 year old and a baby to get in!! Anyway, that’s all from me for today. I hope you like my snowy friend 🙂 I also used Waltzingmouse Stamps Snowflake dies, X Cut A4 Snowflake Embossing Folder, papers from ‘Merrymint’ collection by American Crafts, Centura Pearl card, Spectrum Noirs and some pretty sequins! makes me smile…such a fun card! Fabulous card! Love those die cut snowflakes too! And who doesn’t love a bug??? Adorable winter/christmas card, Karen. Love all the snow. Embossed and die cut. Great take also with Sketch #117. Thanks for joining us @ From the Heart Stamps !! Adorable card, Karen! 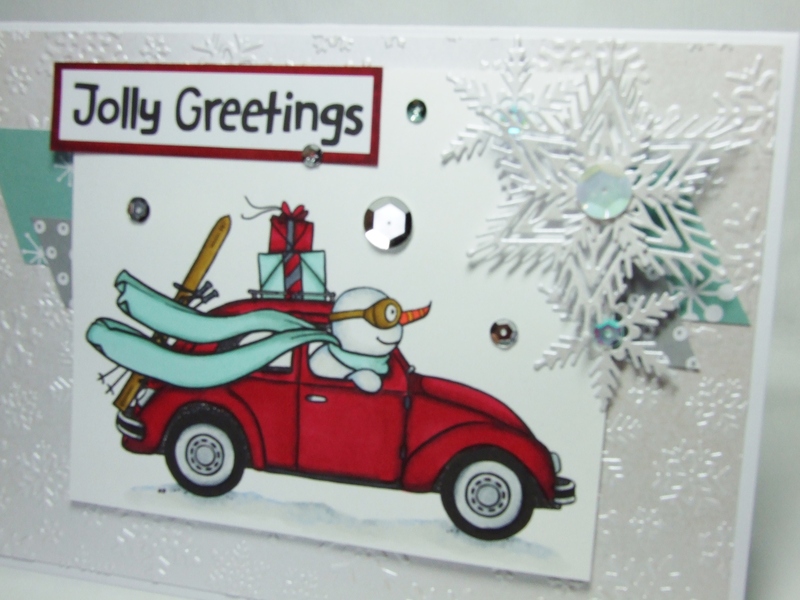 Love the super cute snowman and the embossed background and snowflakes are the perfect touches! That image is darling – gave me my morning smile 🙂 Beautifully coloured and nice touch with the snowflakes.